Reproduced the crash on 550D. FPS override helped (no problems at 10 fps). It looks like this process interferes somehow with LiveView timings, not sure yet. I guess it should be working fine on 7D. On 600D, does it help if you disable the beep? Here is 7D: LCD, HDMI-1080, HDMI-480, SD-NTSC (I couldn't get the SD monitor to work in PAL mode, maybe vykoscil can dump SD-PAL and we can have a complete set for the 7D. For 600D, you may also try the lowest FPS you can get. If the writing process takes place between two frames, I think it should work. Try a few times to increase your chances of success. I could also try to write the files in very small chunks (it will be slower, but might help). wouldnt it help to post a twitter out on asking people with these dumps may be? Alex, I will try what you suggest with the 600D tonight. Akos, Thanks for providing dumps for your camera! Do you have access to any other EOS cameras? Do you guys think it's a good idea to make a spreadsheet so Alex can check off each camera when he has sufficient dumps for a particular model? I think it could have camera models vertically and the 5 display modes horizontally. i only got a mark3... i am not even sure if i made any mistakes, for the dumps happened (or didn't) when my monitor went black through some of the dump-processes sometimes for more than 7seconds. it would be a shame to waste alex's time if my dumps were partially incorrect....but i have no way of knowing if all or some were fine. i think twittering this cropbar fixing project on autoexec ML twitter account could get people doing dumps which follow ML more intensively and those followers might have more cameras to do them with. seeing the crop bars during recording is one thing, but playing back a video and missing then the cropbars, will that be also looked at here at this process to fix the crop bars? Yes, this is why we are also dumping the VRAM in playback mode. anything else i can do to help you? Thanks, so now I have the 5D3 pretty well covered, in pretty much all modes. Does it match what you see on the monitor? Other cameras too, please! Even if you don't have an external monitor, you can still do the built-in LCD dumps. If you have the A/V cable, you can do the SD monitor tests just with that (no need to actually use a monitor, just plug the cable). then a Lupe is what anyone would use instead of staring at a bigger screen and really low and really bad out of focus resolution. i had several blank screens (do you call that a crash?) when it was taking the dumps, usually its when raw is turned on and in raw recording or on raw playing back. when i checked the dumps, exactly those screen DNG's from those so crucial dumps in Raw mode were corrupt. Alex does it matter ? when "not" in raw mode dumps worked fine. we all want to shoot video in raw, without raw, ML is not needed on a mark3. i am not sure, but if that dump would happen not 5 seconds after, but 10 seconds after, may it would work better ? I had to lower the framerate on the 600D to dump certain modes. Alex, I got an interesting message on the 600D that may be responsible for my problems when dumping in record mode! then we should have a COMPLETE set of dumps for the 7D! I'll upload SD-NTSC and SD-PAL for 600D shortly. Which one would you like next, 550D? or 5DMKII? so many days of silence, has the Effort not lead to any results? Does this need more help from others? is it being stopped now this attempt to fix this? So far 7D, 600D, and 5D3 are the only cameras that have had dumps collected, so the devs don't have much to work with. The 5D3 still needs dumps of the composite video modes, can you do those so we'll have another complete set? I'm sure the issue report you started on bitbucket will be updated when the fix is implemented. In the meantime, I have found a totally workable solution using the "force VGA" option in the display menu. All the overlays align perfectly and you can even playback raw videos with mlvplay with this setting enabled. I have been happily shooting a new feature I'm working on with this setting, and I really enjoyed working the steadicam and the jib crane with a proper monitoring solution this week! Does a1ex still have a 550D, or will this camera need to be done by somebody else? So I did the dump here and have a dropbox link to the zip file. If you can let me know so I can pull it from dropbox that would be good, as its rather big, 1.7gb. I've Done the testing, a few thigns to note. 1. 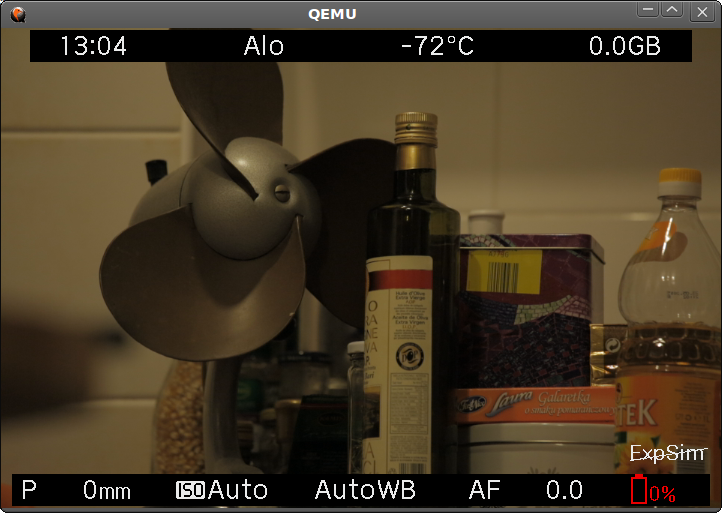 This is for my 5D3 on 1.2.3 using the 1.2.3 ML from nightly from 07032014. 2. I realized that my external monitor (A marshall 7") supports 24p and 60i, so I did both, but I'm not sure if the dumps support it, so if they 'overwrote' or something, the second set was 24p, so that would be w hat you got. 3. I did the external cable, but I'm really n ot sure how well it worked, because I didn't have easy access to a monitor that supported it, so I just got ready, plugged the cable in (now blind) and did the actions I'd done many times before. I hope it worked. I did this for my native NTSC and then went to PAL. I also didn't do any MLV tests because I don't have any 1080 video, my cards are too slow and I can't get more than 1 frame at 1080 so I just skipped testing MLV playback. I think you've probably got a lot of that anyway. If you need me to test MLV, can you get me an MLV file thats at least 10-15 seconds to allow me to 'dump then hit play' on the differing modes? BTW that dropbox archive is still syncing, so give it at least 30 mins from my post (Estimated time left now, could go up). He has 550d and so do I, but its a time consuming process so if you have a 550d please do some dumps if u have time. force into VGA mode is completely useless unless you want to film for your family album, and you want to shoot at f16. its not possible to focus correctly for the resolution is below the minimum needed to focus.The massive pixelation ,makes all being out of focus. The MARK3 internal LCD monitor has more res than forcing VGA ,and that internal LCD still is barely enough to correctly focus, and using a lupe on a brushless gimbal or any sort of gimbal is not an option,... as we all know. so sorry to say, its not a workaround at all, because its not a serious option at all. composite is the very same thing. so why would alex need those out of date dumps for? will they fix the issue with HDMI cropbar placements?....i kind of doubt that... for they have nothing to do with each other .. This is a totally workable solution. Did you ever shoot on the 5D markii before ML Raw? Many serious productions were done on this camera in h264 and this is exactly the resolution it output over the hdmi port while recording. It is the same exact resolution as the back LCD, (480p) or 720x480, and since magic zoom works in 480p mode (unlike 1080i)so focus is no problem. 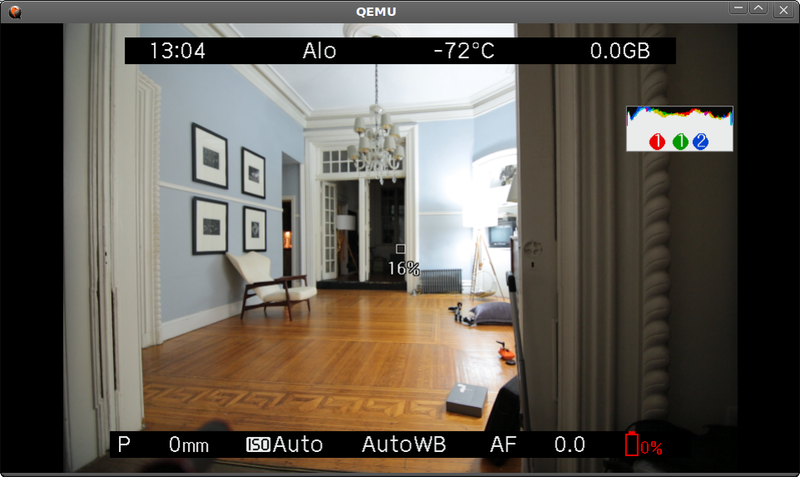 Your small HD monitor should have a 5Dii mode that will scale the image so that the viewfinder fills the whole monitor, but I prefer to use it in 4:3 mode with the full histogram below. I shot for several hours using this setup on a steadicam again today and I am soooo happy that I have an affordable and reliable solution for raw. You shouldn't be discouraged, you can do wonderful and amazing things with the camera RIGHT NOW, TODAY! and it will only get better in the future, so don't let the monitor resolution prevent you from getting inspired and being creative with the tools you have at your disposal.